If you have persistent stains that brushing can’t remove, try teeth whitening at Almeida & Bell Aesthetic Dental Center in Highlands Ranch for a dazzling stain free smile. We are Drs. Almeida & Bell of Almeida & Bell Aesthetic Dental Center. In our office, we practice preventative dentistry by working with our patients to establish essential oral hygiene habits. If you are looking for a cosmetic dentist in Highlands Ranch, I invite you to come meet my warm and comfortable team. Our address is 8683 E Lincoln Ave Ste 200, Lone Tree, Colorado. We offer general and cosmetic dentistry, including sedation dentistry. 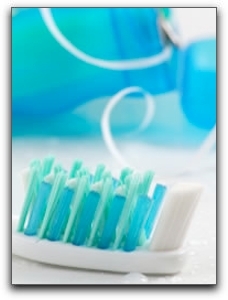 And here’s a quick cold-fighting tip for my Highlands Ranch clients; get a new toothbrush when you catch a cold. A toothbrush teeming with germs can re-infect you! Give us a call at (720) 306-8057. Need A Prevention-Oriented Dentist in Lone Tree?